The “Twinning dietitians around the world” project has been a great success. We are thrilled and grateful for the amazing welcome it has had among the foreing colleagues. We would like to thank all those foreing dietitians who have signed up for the “Twinning dietitians around the world” campaign. Although many Spanish dietitians have enrolled in the campaign, the number of foreign dietitians is higher and we had to create a waiting list. To avoid the waiting list continues to grow, for now we will not accept more foreing dietitians. The Organization Committee of the ICD Granada 2016 would like to invite you to participate in an interesting initiative, the first "sustainable" experience that will really help to further and strengthen the bonds between dietitians-nutritionists around the world. We have proudly launched the following initiative: "Twinning dietitians around the world", which consist in twining dietitians-nutritionists from other parts of the globe. "Twining" means getting in touch with a dietitian-nutritionist from Spain so you can virtually meet each other and stay in touch by email. The objective is that each foreign dietitian-nutritionist that comes to Granada for the ICD Congress in 2016 has a Spanish twin. 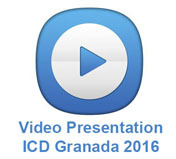 Organizing the trip to Granada and the arrangements to attend the ICD Granada 2016. Solving any queries that may arise before the congress. 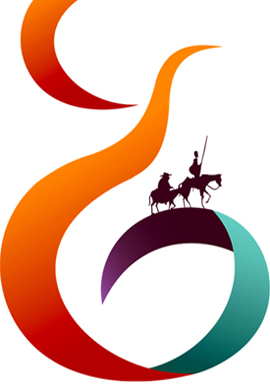 Hosting your stay in Granada on 7th, 8th, 9th, and 10th September 2016. This will strongly facilitate your visit to Granada! It is also a beautiful "sustainable" way to work and cooperate with other dietitians-nutritionists, allowing the crossroads of cultures and civilizations. Dietitians-Nutritionists from all over the world want to meet. Are you up for it? Take part in this fun and unique experience!